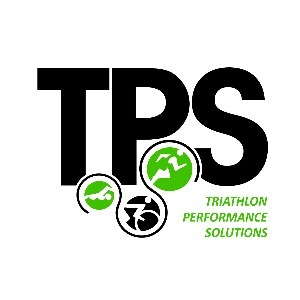 Triathlon Performance Solutions (TPS) is a UK based coaching company. TPS was founded by Ben Bright back in 2010 and joined by Nick Saunders and Andy Brodziak. Coaching for all distances. Our athletes are coached locally and remotely through TrainingPeaks. March winter training camp in Fuerteventura. Online training plans for all distances. Precision Hydration Sweat Testing by Andy Brodziak. I was born in Cape Town, South Africa and grew up in Zimbabwe. I developed a love for all sport growing up but was drawn to triathlon at the age of 15 in 1988. I raced my first Olympic distance a year later. After leaving high school I had a brief two years coaching sport at some local schools in Zimbabwe. I then went to the UK to join the Parachute Regiment. While in the British Army I was able to race triathlon and represented the Army and GB Age group teams. I returned to Zimbabwe for a brief period then decided to head down under to Australia. It was in Australia that that I learnt my trade! At the time Australia had the best athletes in the world. I was coached by Kieron Barry then Mark Newton. Both coaches took me to the next level.They both coached world champions. I gained my pro license and was able to race ITU races then moved up to 70.3 and IM distance. I was lucky enough to race in Kona twice and travel the world racing. I retired from pro racing in 2011 and am married to Alexa, have to young boys, St John and Cameron and a Chocolate Labrador called Matopos. I now live in the Channel Islands. I continue to race as an age grouper and love my job! Success. Coach Nick Saunders has been notified of your message.